The “Baltic Way” — such a profound demonstration of solidarity and peaceful protest. 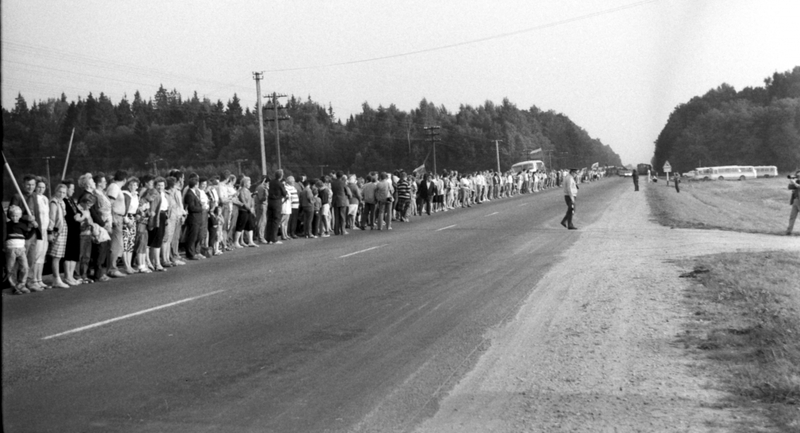 You can almost feel change happening when you read back through those documents and look at the photographs of all the people lined up — across 350 miles. Nice post! I really enjoyed this post! I also wrote about the singing revolution. It one of the most powerful demonstrations to date.